Only if needed if I put glasses on & off. purchased for a friend to use to hold napkin in place at meals as couldn't find anything else that was workable. This did not work as was too long and unable to shorten. I use these to keep my reading glasses around my neck. Keeps them handy and unbroken . The chains last a long time. I have gifted some to other teachers and they are very pleased even bought others of their own. Love these, back for more! The pearl style is far superior to the Gold. The gold chain broke the first time I used it. The pearls are sturdier and look elegant. The gold one looks cheap. You need to be careful not to scratch the ear stems with the clamps, but once they are on, they stay on fairly well. I no longer run around in a panic trying to find my glasses, because they are right here with me at all times. I get compliments and people ask where to purchase their own. Easy, quick, and saves me time. Great product and fair price. 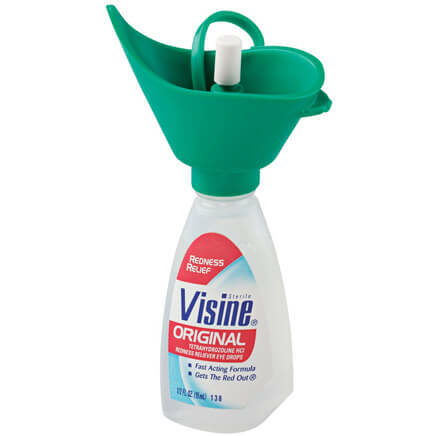 I keep 3-4 of these around the house, so they are always handy. i use the eye glass chains for, glasses & napkin holder. the best thing I use the eye glass chain is, holding my napkin, just clip the clips on the enda of the napkin & there u have it. Will give for a friend that loses eyeglasses a lot. Keeps glasses in easy reach and the chains are so attractive. I would buy this produce again. I like using my eye glass chain when cooking in the kitchen, also reading when shopping and when using my phone. When I studie ,I also find the chain useful. I bought two sets: one for my regular eyeglasses and one for my sunglasses. Now, I have my eyeglasses when I need them not wasting my time looking for them. They look so elegant to wear around my neck. 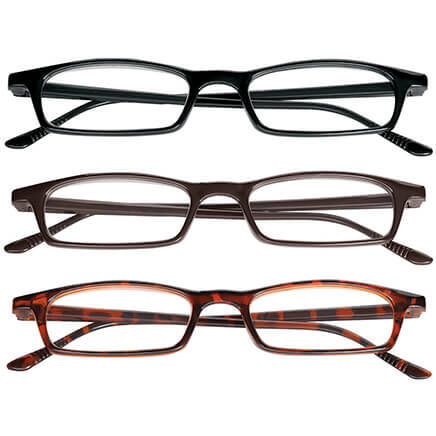 The price is also reasonable compared to those sold at regular stores that sell reading glasses. These will help me keep track of my reading glasses. They will probably last longer than the plastic loops found on most of these "strings." Worn daily, my 'readers' are always with me which is necessary after cataract surgery (loss of near vision). I wear glasses for reading only and the pearl beads chain is not only attractive but my glasses stay on it! Having the clip--rather than the plastic loop--makes all the difference in the world. I'm buying these to give as gifts to friends who have asked where in the world did I ever find them! The beaded eyeglass chain is so much more convenient than having to get out my eyeglass case all the time. It's attractive and works very well. I'm very happy I purchased this item. I'm glad I found these in your catalog. I could't get along without my eyeglass chain on my readers. I'm not comfortable with bifocals. The chain is the perfect answer. 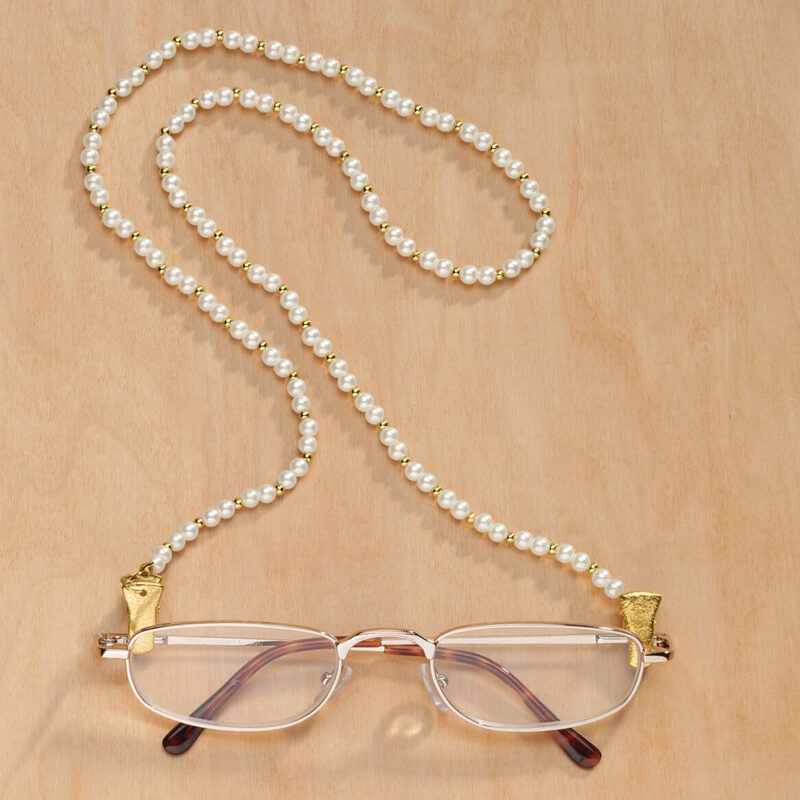 This Pearl eyeglass chain can be worn any time any place. I wear mine all day. It's like brushing your teeth; put on your eye glasses with chain. I need glasses to read things close; my iPhone, books. Computer, Postal mail and much more. The good thing is I'm never looking where I've put my glasses they are always on my pearl chain around my neck. I've gifted the pearl chain, those with long hair may not enjoy. I realy like the clip on, instead of the elestic bands that most eye glass chains use. I would like to see the mental come in a silver collor as well as the gold. So glad to find these clip eyeglass chains. 99% of those on the market are "loops" chains which I find inconvenient because the loops slip off the glasses. 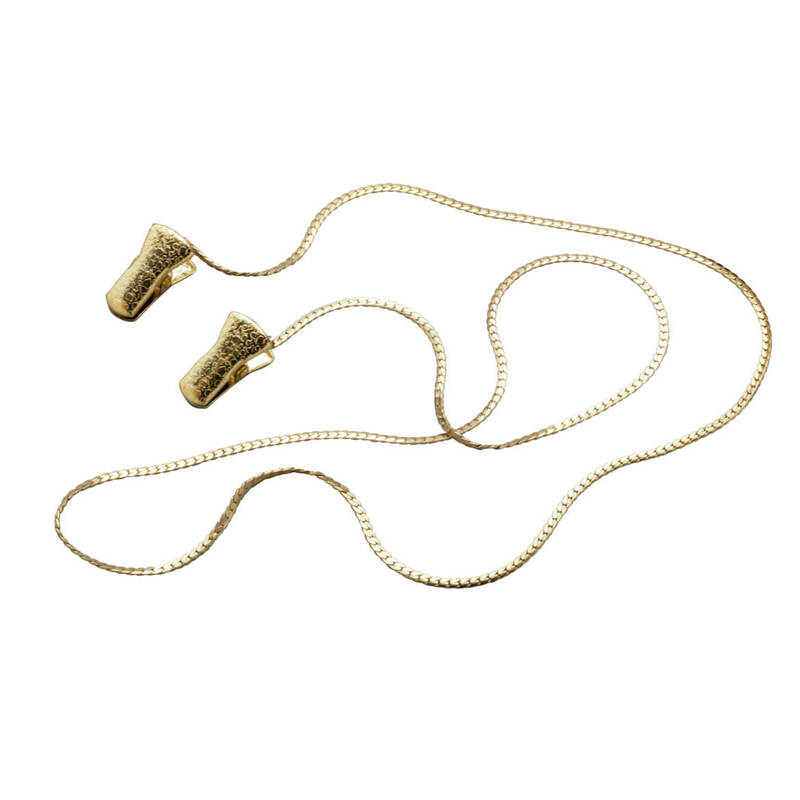 These pearl and gold chains with clips are great looking and stay on the glasses. I bought several and gave to my sis. Quality is better than expected, I am glad to report. These are a pretty and stylish way for a lady to keep up with her glasses. I ordered these two years ago, and they still look nice. I ordered some more for myself, and have given them as gifts. I wear contacts and I have reading glasses but I forget to bring them when I need them. I don't anymore! These eyeglass chains are far superior to the ones with the lousy rubber band loops! I like both the pearl and the gold. I will change them according to the necklace I am wearing. I use the pearl one most of the time, and I keep a spare as I have a cat that likes to chew on it and break it. I have been using them over ten years and I highly recomend them to everyone. I just ordered and received the gold colored one for a friend who tried to get mine--she liked it so much. I never take the chain off my glasses-- just release one side when I take my glasses off. I like the clip on feature rather than the loop. These stay in place once they are clipped on. Clip can scratch stems if chain gets pulled too quickly/roughly. Clips should be as close to lenses as possible, otherwise they dig into skin or are distracting when looking right or left. Needs stronger string to keep from breaking. String is not knotted between beads, so beads scatter everywhere if chain/cord breaks. Works well around my neck. It does seem a little too short. The clips on the end works much better than the elastic ones, but sometimes the clip gets in the way because the necklace is short. I can never find my reading glasses when I need them especially when I am up and about and busy. Also my glasses keep falling off when I bend over, look down etc. This item takes care of the problem. The chain is a bit short for me, and I think that is why it catches in my hair, perhaps the beads would have been a better selection for me. Regardless, now I don't have to worry about my glasses falling on the floor and getting scratched or broken when they come off of my face; do not have to look endlessly for them everytime I need them, etc etc. I agree with the other reviewer about the clips, they stay in place and are much better than elastic bands that could stretch out or break. I have never used anything like this before and am sorry I waited so long. Happy with the purchase and hope when I get used to using it it will be easier to avoid the hair pulling. Many women who only need reading glasses find it convenient to have them hanging around their neck. The little plastic circles at the end of most glass holders often slip off. The clips make these safe, secure,and convenient to find. No more searching for my glasses! Too many times, when I need to go somewhere, I'm all ready to go but then I can't find my glasses. Those days are gone because I now have my glasses on this cute pearl eyeglass chain. When the glasses are not on my face, they're around my neck. I always know where they are and since I don't have to spent time looking for them, I'm a lot more punctual. So glad to find these. Looked everywhere - even had optometrist try his catalog. Clips work much better than elastic stretch loops. 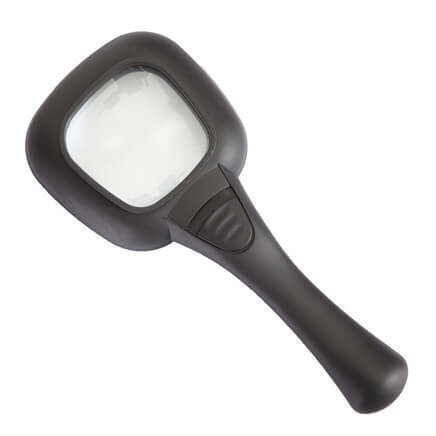 I ordered this product, because I needed a way to keep up with my reading glasses and sunglasses. I hated those loop eyeglass chains, that are found in retail stores. These are easy to put on and off your glasses, plus the chain is pretty. I always get compliments and people ask me where I got my chain from. My mother loves these also, and I have given them for gifts. I bought these for a gift since everytime someone sees the ones I wear they want on and I love these having the clips on the chain. I would like a silver chain. I bought 5 pearl/gold chains after my first one became discolored.They are not fragile, but as soon as the gold turns dark (sometimes some turn black, but they don't all turn at the same time) I pull out a new one. The clips are great! This eyeglass chain is quite pretty. Not sure I like the little gold clasps that pinch onto the side of the stems; it's usually a little black do-dad that the stems slip into. I wish the chain was a bit longer as it interferes with my jewelry. Time will tell whether I am thrilled - but so far - I'm ok with this item. Was not as expected. 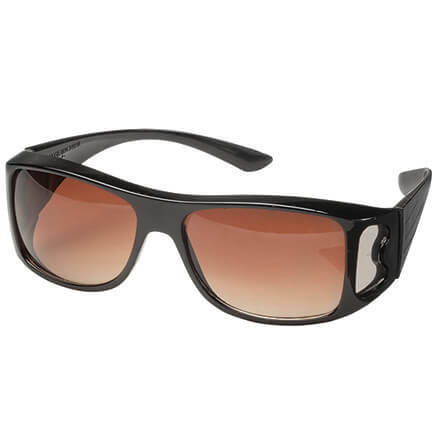 The chain clips for the glasses are bulky and need to clip them on close to the lens part and get caught in long hair quite a bit. I guess you get what you pay for. Handy for my readers...I Would have given it 5-stars if it was a bit longer. I ordered these for a different purpose! because they have clips instead of elastic rings. These look geat ad really work for my needs. Just not sure how long they will last. Not a very high quality. Not sure about the clips, hope they hold as well as a loop. The metal turned black....not good. 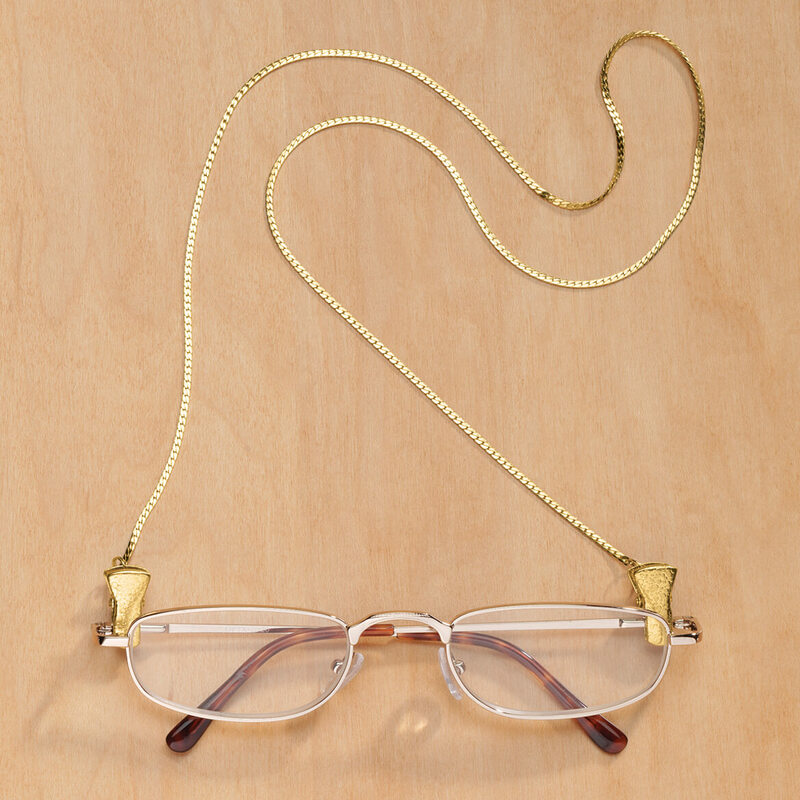 This eyeglass chain is attractive but uses metal clamps to attach to the eyeglasses. They rub against my head which is very uncomfortable. I've stopped using it and am looking for ones that attach with a small stretchy loop instead of a metal clamp. Clips on end of chain don't slip off glasses. Have been looking for these items elsewhere and cannot find them. Thank you. Purchased for a friend in hopes that it can be used to hold her napkin in place at her neck during meals. To keep track of my eyeglasses, instead of losing all the time. Also helped stop having to clip glasses on my tops, where they would sometimes fall off if I bent over for something. I love the clips for the glasses. They only have slid on in the store. they keep your glasses on your nose. they are always with you when you need them. Have used these chains for years as a teacher and now retired they keep my reading glasses safely around my neck and pearls are pretty as well. Always loosening my glasses. This should help me. Received an order magazine through the mail. Thought I would try this company. Thank you. To hold my sunglasses so I don’t misplace them when indoors. I'm forever misplacing my glasses because I take them off so often for close work. fine chain and good color and lookssturdy so it may last longer that the ones at Walmart. I use it as a dressy napkin clip. I use sports chains for everything. It would be nice to have one that looked nice when I went out. Had seen a much more expensive item for napkin/bib. Thought this would work just as well and be more economical. because I need reading classes and I need to use them when I am shopping. I'm finally at the reading-glasses stage, and I'm getting tired of hooking them on my neckline. My Mom has a similar chain and uses it everyday for her reading glasses. I am afraid the one she has is going to break someday and want to have these on hand as replacements. The clip on the ends is much better than the more common rubber loops. Plus, the length of this chain is just right for an old lady. I have been looking for something like this for holding a name badge. I believe this will work for what I need as it has clips on the ends. It is the only lace I can locate this type of pearl chain. I keep misplacing my glasses, so having them on my person is great! And the pearl look will go with almost any style of dress. I chose this item because I like the clip-on feature, instead of the usual elastic loop on most eyeglass chains that either stretch and/or break. Since I like to remove my glasses and keep track of them this will be a great help. It was the chain wanted. For my husband so he will keep his glasses around his neck, instead of taking them off then forgetting where he left them. Hoping it will save me a lot of time looking for HIS glasses! I walk with two canes and can't carry a purse so my glasses would be handy around my neck all the time and I love pearls. This is my third purchase of this item. I have had more people compliment me on it and ask me where I obtained it. The clips are more endurable than the usual plastic attachments of most eyeglass chains. So I don't have to keep looking for readers every two minutes. Need to keep track of glasses that I take off and on all day. Use this item every day. What does the herringbone style look like. No image available? BEST ANSWER: Thank you for your question. There are two pictures below the large picture. The second picture will show you the herringbone design. We hope this information will be of help to you. Miles Kimball hot And cold shoulder wrap is a comforting shawl. 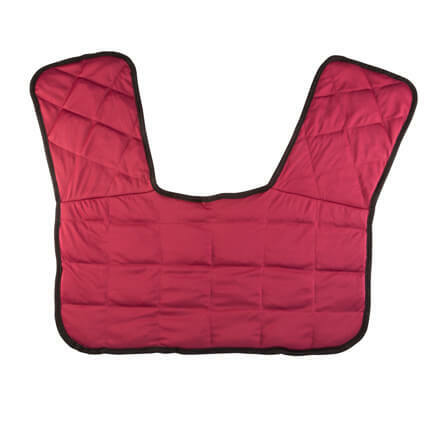 Hot/cold wrap delivers hot, cold therapy to shoulders, back and neck, soothing away pain and tension.